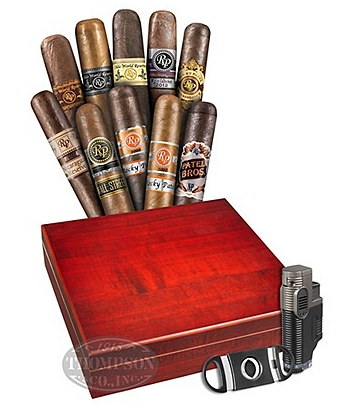 Home › Deals › Only $25 For 10 Cigars, Humidor, Torch Lighter, Cutter & Free Shipping! Only $25 For 10 Cigars, Humidor, Torch Lighter, Cutter & Free Shipping! This is the Ultimate Rocky Patel Combo for cigar lovers. You’ll save over 80% on 10 premium hand-rolled cigars plus a BONUS humidor and accessories A limited supply is available, so get your Rocky Patel Combo today! Did you go for the deal? Have you smoked any of these stogies? Let us know in the comments!